The H-1C category applies to an alien coming temporarily to perform services as a registered nurse in a health professional shortage area as determined by the United States Department of Labor. Only 500 nurses can be granted H-1C status in a fiscal year nationally. There are also numerical limitations for each state based on the state's population. The cap for states with populations in excess of 9 million is 50 per fiscal year. The cap on states with populations of 9 million or less is 25 per fiscal year. Evidence that the alien(s) named on the petition is fully qualified and eligible under the laws (including such temporary or interim licensing requirements which authorize the nurse to be employed) governing the place of intended employment to practice as a registered nurse immediately upon admission to the United States, and is authorized under such laws to be employed by the employer. Work authorization for H-1C nurses is employer-specific, i.e. limited to employment with the approved employer/petitioner. A change of employer requires a new H-1C petition; new employment (any employment other than the originally approved employment) cannot begin until a petition for change of employment ( Form I-129 ) is approved by the USCIS. If an H-1C nonimmigrant nurse will work for more than one employer, each employer must file its own H-1C petition on the alien's behalf. 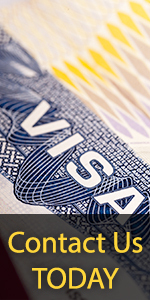 An H-1C alien is not precluded from applying for adjustment of status to permanent residence if the alien is otherwise eligible for adjustment of status. More than one nurse may be included on an H-1C petition. The maximum period of admission for an H-1C alien is three years. An alien may receive an extension of stay to complete the 3-year period of admission. However, an extension of stay may not be granted to extend the alien's period of admission beyond the initial 3-year period of time.